"Are you SURE you want this toy?" I asked the mom of my new tester, Number 6. I have to admit I was a little worried. Number 6 had never successfully built a marble run before. She had given up on others in the past. But if you've ever watched a video of the Q-BA- Maze, you'll understand why I had to agree. This marble run is one of the most enchanting toys I have ever seen. Still, as a toy reviewer, you can't help but worry. If she couldn't build it then she wouldn't have fun and if she didn't have fun, then I'd have nothing to write. It's been eight months now and I've still kept my promise: no negative reviews. We only want to give you news you can use. Thus, since we spend time getting to really know these toys, if we end up not liking it, it is a big loss for us. I'm sure you feel the same way after you buy a toy that your child ends up not liking. It's not just money that you lose. Oh, what I would do to have all those cubes!!!! This was taken at the Toy Fair this year at the Mindware booth. I just realized that it is a sculpture of fish! Wow! I wonder how long it took to build that! I have also played with the Q-BA Maze in the past. I remember that clicking the pieces together was easy but making that marble go down the way you want it might be a little harder and then making the structure into a shape that you want to see is even harder. It's not quite a puzzle but there is a lot of thought required. You really have to think spatially and think ahead. It's really challenging but is it too challenging? One thing I have learned is that children don't like to give up on beautiful things and in this case, good design definitely can motivate here. This makes me think about that special quality of marble runs. Why do kids love marbles so much? "I wish I had a real answer to you," said Dr. Jonathan Lauter, MD, an Assistant Professor of Psychiatry at Mount Sinai School of Medicine who also directs a very busy ambulatory behavioral health services clinic for children at Elmhurst Hospital Center in New York City. "I think the smoothness of it is really more important than people realize. I think that there is a quality to the evenness of it that at all points allows a youngster to see and hold in their hand, a sense of perfection," he said. Considering that kids have so much to deal with, having something so tiny that you can hold in your hand but still have some significance to them, Jonathan said that for kids, marbles have a quality of just mastering control right away. Control. We all want it. Kids do too. When they don't get it right away. It makes them nuts. It makes us nuts too. 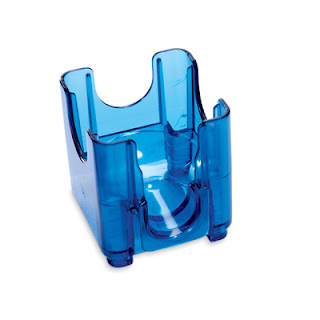 With this toy, sometimes your attempts at control can give you a bit of a surprise. Each cube looks rather similar but still they have different functions. Some take the marble left, some take it right, and some just have a hole and make it drop down the middle. Number 6's mom at first encouraged her daughter to just build freestyle and to a certain degree, that worked out quite nicely however, it was clear that more could be done but getting to that next step was challenging. When faced with the challenge in a toy, the remedy is a good teacher with a good plan. In this case, it was Number 6's dad who showed her how to use some of the plans that can be found online that give you directions on how to build different shapes and structures (heart, parrot, tree, fish, robot). It was hard to decipher at first. Math kids will like these directions for sure. It looks like a very cool spy code. After Number 6 figured out what to do, she just was off! The next thing you know, she had made her own marble run using the plans. Once she understood how to use the plans, everything clicked. She was really proud of herself. "After she made it, she was really happy," said Number 6's mom. Who wouldn't be happy? I find that the experience might be akin to the way you feel after following a set of Lego directions but since the Q-BA-Maze building experience is less familiar, it might be a little harder. Thus the feeling of accomplishment is that much greater. Moreover, she was able to add her finishing touches to the mazes which in a sense signaled to her mother that she was really getting it and that she was really using her creativity. There are 4 great things that you don't want to forget about Q-BA- Maze. 1- Connecting the cubes is easy but creating a sculpture is not. You are using your body to create! As your sculpture becomes more complex, sometimes, you'll have to balance it while putting things together. This isn't a toy that you are entirely sitting for. 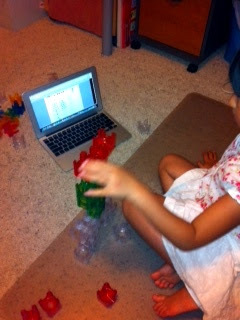 This is a girl who has never built a traditional marble run but look at what she can do with the Q-BA Maze! This is a flower sculpture but she added her own special touch too. 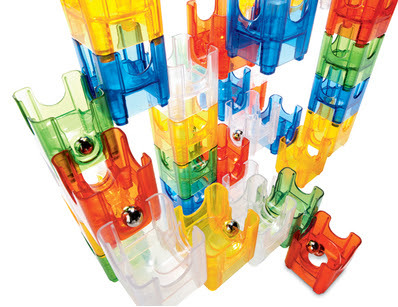 2- Your marble runs are not just marble runs, they are sculptures. The way the light shines through each piece is remarkable. If you follow one with directions, you will see that your child is capable of making very striking sculptures, just by following the plans. 3 - The marbles falling is like music playing. These marbles are NOT plastic. Rather, they are made of metal and are smaller than your average marble so it is easier to hold more in your hand and release them faster. They sound just beautiful when the come tumbling down your sculpture. You'll see your child do it over and over again. It's the final piece of self-gratification for a job well-done! 4. Why it's a Holiday/Birthday Build Uponner- yes, this is an odd name for a toolbox category but let's face it, sometimes you want a lot of something and it is great when people can add to your child's collection rather than buy him something that he really doesn't want! However, I think it's also great if you get the first set yourself and just put additional sets on your wish list. They come in different colors and sizes and so it makes sense as a birthday present from a friend or a bigger holiday present from a relative. We will be hinting to Grandpa for these come December! Now it is time to win your own Q-BA- Maze! Ends Wednesday, 7/17/12 12:01 AM Don't forget to follow the directions and try for those big points. Knowing how you like to shop for toys is important! This giveaway is only open to U.S. residents. So sorry to my Canadian readers. I have not forgotten you! Can't wait? 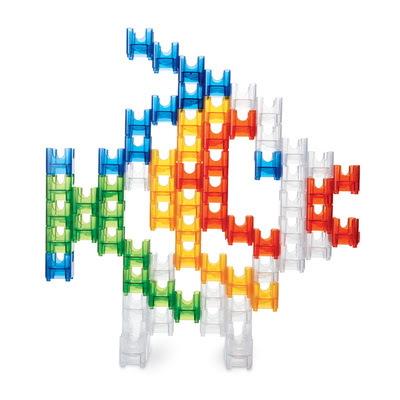 You can buy your own Q-BA- Maze right now through my Amazon link. 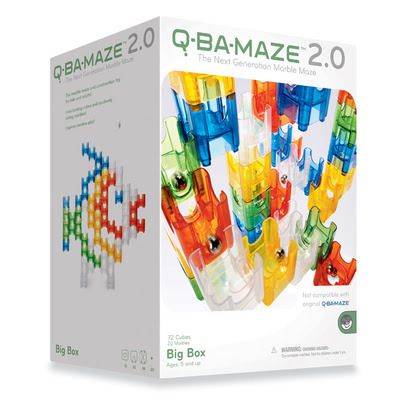 Also note: there was a previous version of Q-BA Maze but those pieces are not compatible with the 2.0 The Next Generation version that is being reviewed here. This is my kids' favorite marble run video by Ok Go! Click here. My son has never been into Legos or other building toys, but I think this might be the one that sticks. This looks like fun for all of us. We love marble runs here, and that is the COOLEST one I have ever seen. Ooh, I would love to win this! Looks like a fantastic toy! wow - this looks like a wild toy.. i think my son would enjoy it! Better than any marble run I've seen. Plus we live in a small space, and I love that this one breaks down! My son has been dying for something like this! I use coupons and simple items to create family fun. 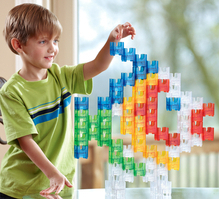 This toy would help my 6 yr old adhd genious on so many levels. Please! !!! We've given this as a birthday gift but we've never had the chance to play with it ourselves. It looks like a really awesome marble run. I never realized the sculptural aspect of it which doubles the coolness. Love this! Think we need even if we do not win! I think this is my favorite toy you've reviewed yet! I love it! So interesting to look at and I love how they can stack them precariously and learn physics at the same time. If I don't win this I'm going to have to buy it, even though money is tight! Where do you find all these amazing toys?! I can definitely see my kids spending hours playing with this. Have to put this on my list of gifts to get them! I know what you mean. My son wants one too. Sigh... This holiday shopping list is already growing! I hope I will be able to wait. My little guy will love it too. what a cool toy. i want it for my boyfriend and myself!! This Marble Run looks like so much fun and it looks like my 5yr old son could use it. He has a marble run, but it is hard for him to build and line up the pieces. Also it is large and bulky. I really want to buy this one. looks really cool, not your typical marble toy!!! This looks like a great building set. We have marble runs that my son loves. I know he would love this too! My son would enjoy this toy because there is more creativity required in the building process than a regular marble run. I know this is an "old" post but I have been analyzing the Q-ba 2.0 for the holidays and I just noticed on the MINDWARE website that there is a new stunt set and a cascade set! I thought of you because this is where I first "learned" about it! Nadine, You are some shopper. It's October and you are analyzing the big holiday present now. That's cool! #1- We have the Mega Stunt Set- just haven't written about it yet. #2- We love the Mega Stunt Set. #3 Definitely sign up for the Mindware mailing list so you know when they have a sale and then if you have already made up your mind to buy it then you can act right away. #4 Go to http://www.q-ba-maze.com/plans.php to view other drawing plans and watch the videos to learn how to make your own(if you want) #5 Thank you so much for this comment. So happy to pass on news you can use. ohhh....I'll be waiting for the review for sure. this will be my son's main gift. I will be scouring those that site with the plans...maybe print them out and laminate to have. as a guide.